Everyone one must eat. 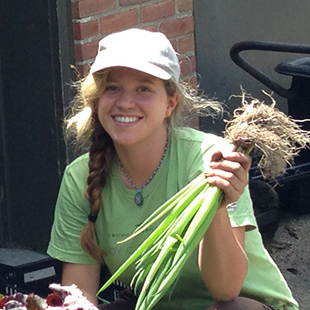 This basic need creates both common ground and opportunity for Myrna Vazquez and Sophie Krause, Chicago Botanic Garden interns bringing vegetables to market as they prepare for careers in environmental education. 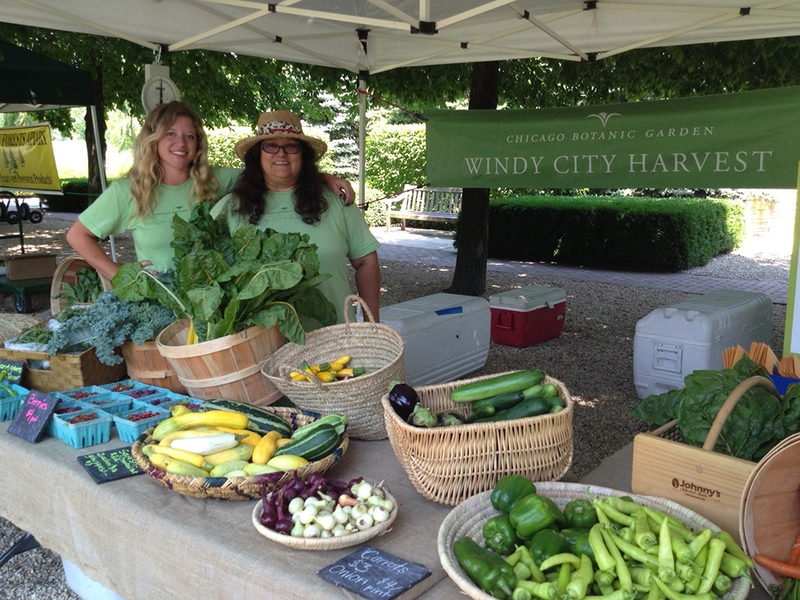 Sophie Krause (left) and Myrna Vazquez sell Windy City Harvest produce at the Chicago Botanic Garden Farmers’ Market. The Garden’s Windy City Harvest urban agriculture certificate program, an accredited nine-month course offered in partnership with the Richard J. Daley College, is providing Krause and Vazquez a practical, hands-on education in sustainable urban agriculture. Six months of study at the college’s Arturo Velasquez Institute taught the two women such farming techniques as soil testing, prepping raised beds, seeding, and planting. Their knowledge is growing through a three-month internship in the Regenstein Fruit & Vegetable Garden. “I’m learning to grow beautiful, functional, and educational gardens,” said Vazquez, who worked in an after-school drug-prevention program before enrolling in the certificate program as part of a midlife career change. Vazquez says she’s absorbing all the Garden has to offer, including beekeeping, natural pest control and native plant gardening. Sophie Krause gets vegetables ready for market. Next Next post: Meet the Interns!